​These underpants are conveniently compressed into a compact pellet. Just soak them with water momentarily and they?ll loosen up so that you can pull them apart! And remember, it?s better to have damp underpants than no underpants at all! 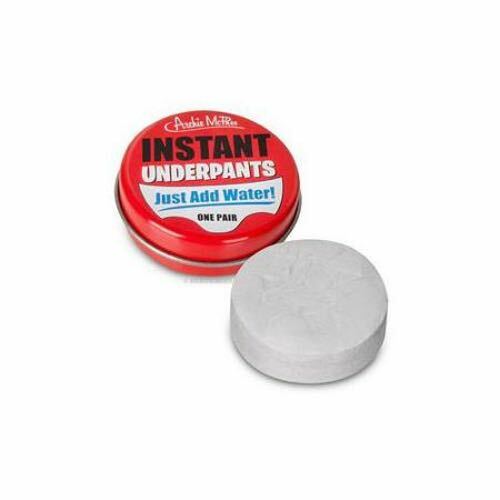 Each 2-1/2" (6.4 cm) round tin contains one pellet of disposable unisex underpants. Fits most children and small adults. Twenty-four shrink wrapped tins in each illustrated display box.